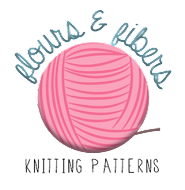 Flours & Fibers: Introducing... Lamb!!! Happy Spring! As the weather has been getting warmer, I've been inspired to start knitting smaller, quick projects. 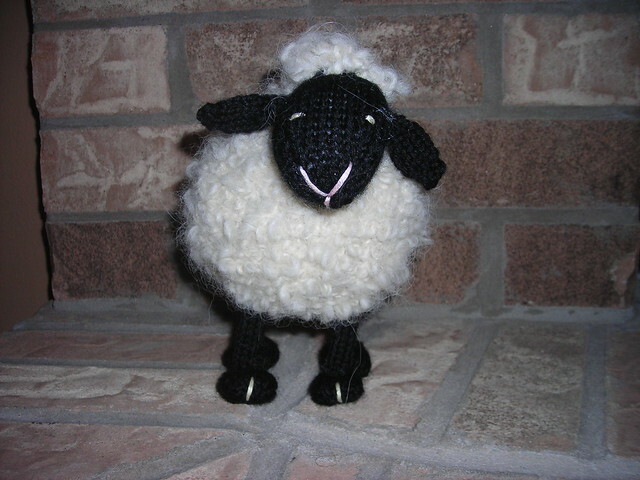 One of the first projects I completed as a part of this inspiration was Lamb, by the great Susan B. Anderson. 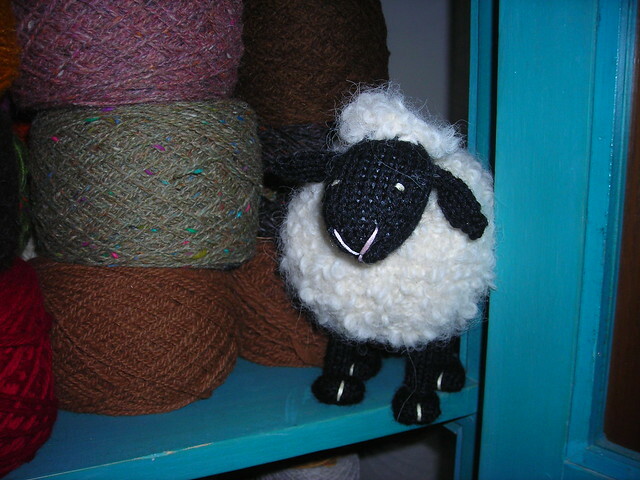 This pattern can be found in the book Itty, Bitty Knits and for free(!) online on the Woman's Day website. The pattern is written wonderfully, but of course, there were a few things I changed, since I just can't help myself. 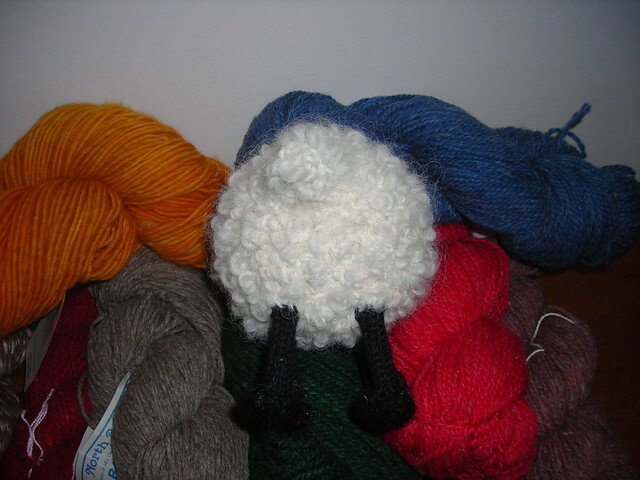 I knit the body of the lamb in garter stitch, because the yarn I used (Dale of Norway - Monjita) looked more "sheep-like" in garter. 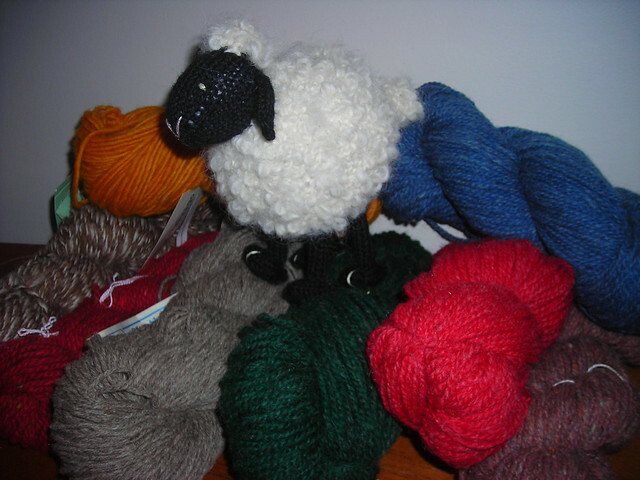 I cast-on 7 stitches for each leg and knit them in the round, instead of doing I-cord. The straws that you insert into each leg to make the lamb stand, didn't fit in my I-cord. 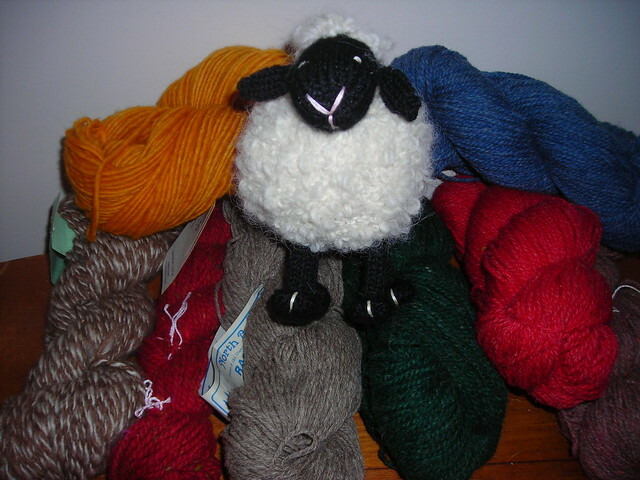 The yarn I used for the face and legs was Dale of Norway - Heilo. 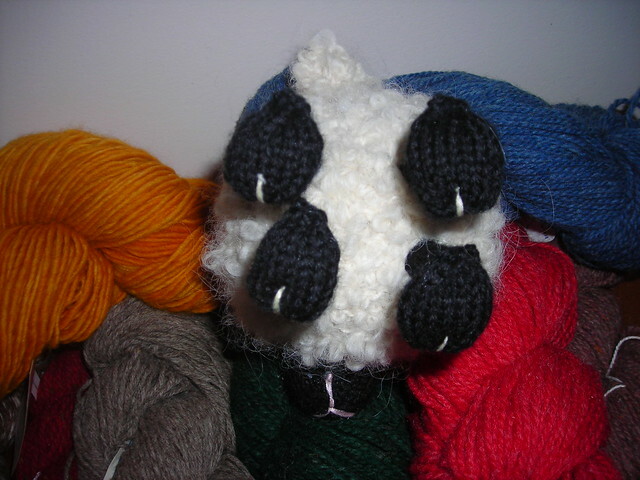 For the smaller appendages, I divided the stitches between two double-pointed needles and knit with a third. I find for small items, with few stitches, this is less tedious for me than dividing the stitches among three or four double points. And of course... THE END! It has been sitting legless for several months now.